According to MusicVF, the 1963 single by co-songwriter Jay Wiggins failed to enter the Billboard top 100 charts, peaking at #116 pop, and attaining no recorded position on the Billboard R&B chart (possibly affected by the discontinuation of the R&B chart lasting from 30 November 1963 to 23 January 1965). I’ve also yet to find any indication that it entered the Cash Box top 40 R&B or pop charts. However, the fact that various sites describe the single as a hit suggests that it might have been a local or regional hit for Wiggins. There were at least three covers of the song released in 1965. 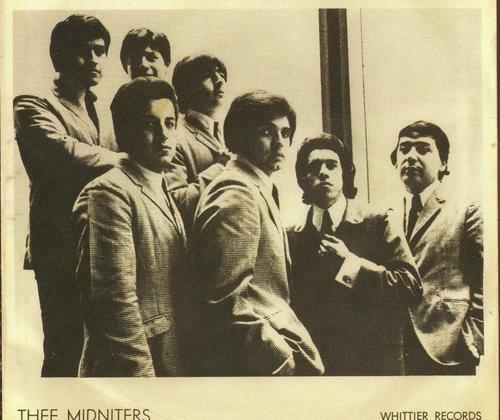 A 1969 cover by the Intruders, Gamble G-235, was the most commercially successful recording of the song: #14 R&B, #47 Hot 100. Other released recordings include those by Thee Midniters (1965), The Gallahads (1965), Curtis and the Showstoppers (1965), Joe Bataan (1969), Emperors Soul 69 (1969), Thee Unknown 4 (date unknown), Charlie & the Jives (1971), GQ (1982, minor R&B hit), Silk & Satin (1984), and Rocky Padilla (1994). issued in September 1963, on IPG 45-1008 (matrix PG 55011), b/w “No Not Me” — IPG Records is Independent Producers Group Records. While 45cat.com dates the release of IPG 45-1008 September 1963, and RateYourMusic also dates the single 1963, Discogs.com dates it 1965. Though the two releases have different matrix numbers, in each case the labels indicate that the length is 2:17, suggesting that they might be the same recording. The following two videos display labels with the two different matrixes, but the videos seem to feature the same recording. This recording has a much sparser arrangement than that of the better-known recording by Wiggins. The instrumentation is so simple that it sounds like it could be a demo. Trumpets and sax play large roles in the dynamics of the other version, but in this recording there are no trumpets and the use of saxophone is very limited. * I hear primarily only piano, drums, and voice. The recording is about 15 seconds shorter than the more well-known version by Wiggins. live performance for the TV series Atlantic City Alive!, 1981 — The introduction by the host begins at about 1:10 in the video. * I detect what sounds like faint touches of sax from 1:13 to 1:24. Other than that I hear only piano, drums, and voice. ** Arista AS 065 release date — 45cat.com dates the release of the single January 1982, while Discogs.com dates it 1981. The labels displayed on the two sites, on both commercial and promotional versions of the US single, bear the date 1981. The LP Face to Face was released in October 1981, but all relevant single labels at both 45cat.com and Discogs.com give the length of the side as 3:37, which is 32 seconds longer than the album version.